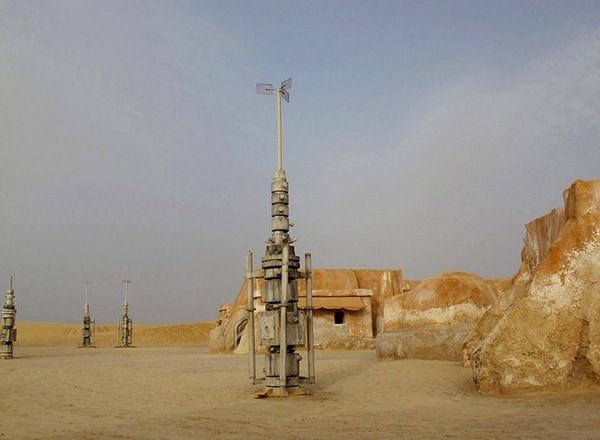 (George) Lucas and his crew left the Lars Homestead set to rot after (filming on Star Wars) wrapped more than 35 years ago. In that time, the domed shell of the homestead sat unprotected from the desert winds, its location known to only a few locals. That is, until recently, when Luke’s erstwhile home was rediscovered by New York-based photographer Rä di Martino. Imagine how excited we’ll be in 35 years time when a hard disk archivist discovers the digital remains of Jar Jar Binks.